The U.S. Department of Agriculture (USDA) has a history of discrimination against black farmers (an issue the NPQ Newswire and the Cohen Report have covered many times, including here, here and here). 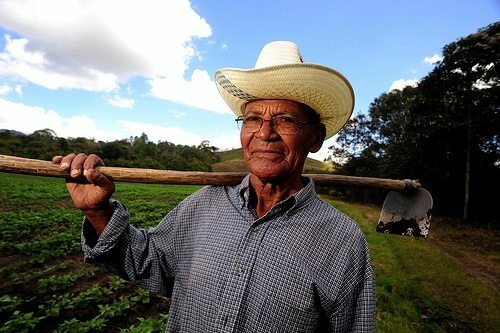 As with the black farmers, nonprofits have been central to the efforts to get the USDA to wake up to its history of discrimination against Latinos, notably the Farmers Legal Action Group and the National Agricultural Law Center. The USDA program of compensation to Latino farmers includes as much as $1.3 billion in cash awards and tax relief plus $160 million in farm debt relief. If you think, as unfortunately some do, that this is just a bunch of minorities trying to cash in on government money, read about the plaintiff in Garcia v. Vilsack—Lupe Garcia, a third generation farmer in Dona Ana County, New Mexico. The settlement for Latinos also includes money for women farmers who have also faced discrimination at the hands of USDA bureaucrats when applying for government assistance. The women farmers’ case is Love v. Vilsack.